Visit Showtime Pizzeria for a taste of authentic italian pizza without the high prices. Located in Aptos, CA, Showtime Pizzeria has been serving our wonderful and tasty creations for 30 years! Our menu is not limited to Pizza, but also includes mouth watering pastas and genuine Italian dinners. Pair any one of our entrées with our extensive Imported and Domestic wine & craft beer list and your experience will not soon be forgotten. Choose either. We serve them both all day! BE THE FIRST TO KNOW ABOUT OUR GRAND REOPENING. We love this little hole in the wall pizza spot. They've been in business for 20 years. Freindly staff, very clean but well worn in. The Stromboli is to die for. My new favorite pizzeria in Aptos. The pizza is awesome and they have $1 cheese slices on Tuesday and $1.5 pepperoni on Sunday. Friendly ownership and staff and cool ambiance. Usually a sports event on TV. I'll be back. A lot. Thoroughly enjoyed my pizza, it was beyond superb! I was even more impressed that the owner himself was the great chef behind the prized pizza I drooled over. They have all kinds of variety of hot dinners & lunch... like lasagna, spaghetti n meatball, sandwiches!!! Haven't tried it all but if your pizza is that tasty - everything else couldn't be far from great. Delicious pizza! 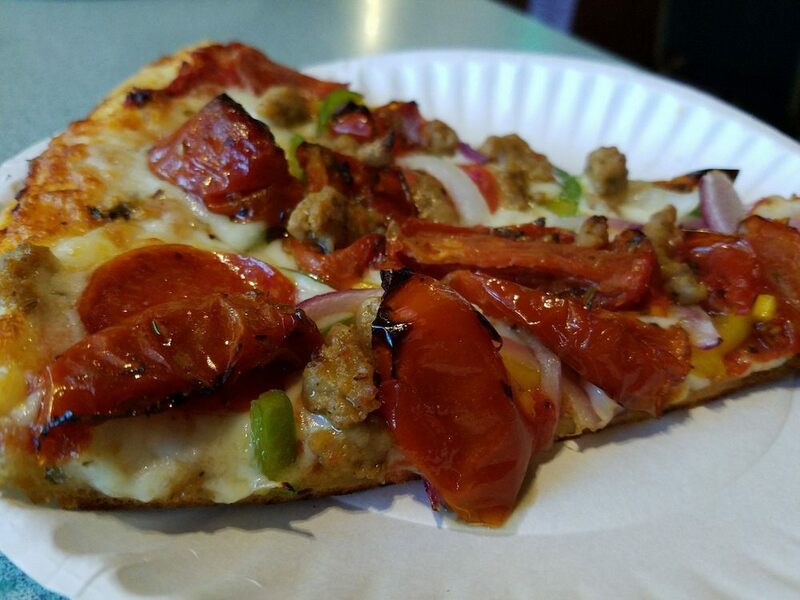 We always order the thin crust. They have specials several nights of the week as well, including $1 slices. This place is awesome!! I work near by and my co workers and I eat here at least 2 days out of the week. The food is made with love. Fast and friendly service combined with outstanding pizza made for a great visit. We each enjoyed pizza by the slice. Everything was fresh and flavorful. © 2017 Showtime Pizzeria. All Rights Reserved.